Ya’ll I love pretty decorations for my house, but I hate the cost of having a pretty home. 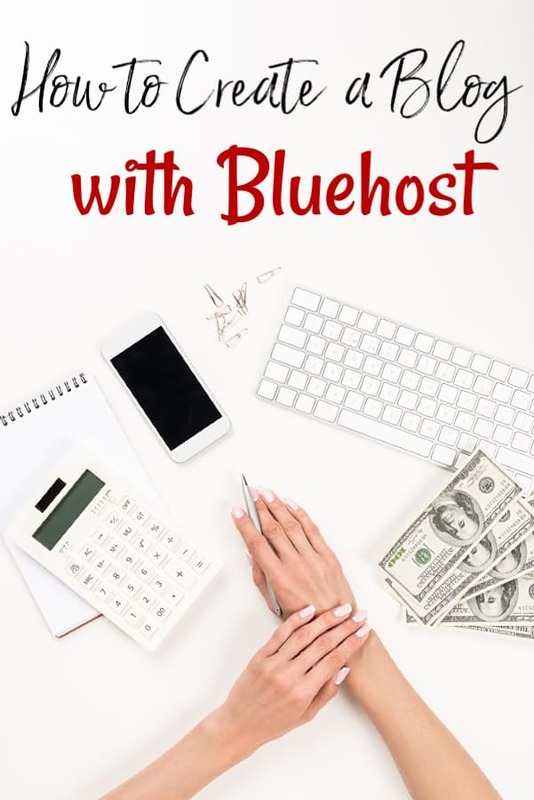 Sometimes it can get pretty expensive to decorate your home if you’re not careful. That is one of the reasons that I adore having cheap homemade home decor for my home. Things that I can make at home though, like this easy spring wreath, for a few dollars and a bit of time, are perfect for anyone who is looking for frugal home decor but still decorate a beautiful home. This easy spring wreath uses tissue paper flowers to bring a touch of warmer temperatures to your home. I love that since it makes it super easy to change out colors or even the style of flower! 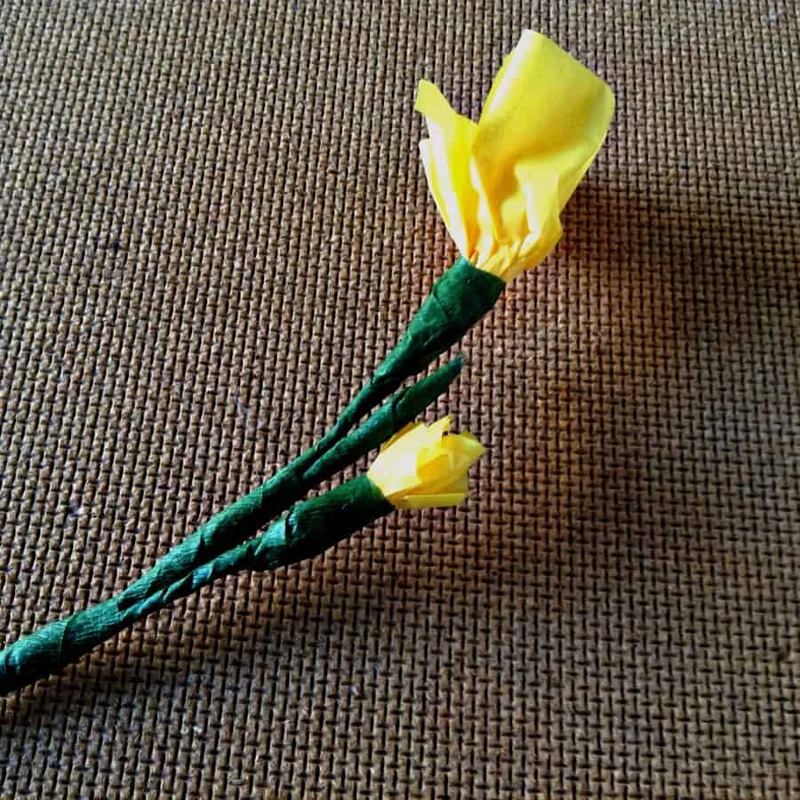 Tissue paper flowers are super easy to make even though they may look complicated! When you make paper flowers for this easy spring wreath, you’ll easily be able to switch out colors for different seasons. Pink and purple tissue paper flowers work well for spring. Orange and reds work best for fall. No matter which color options you decide to choose, your wreath will always look fantastic! 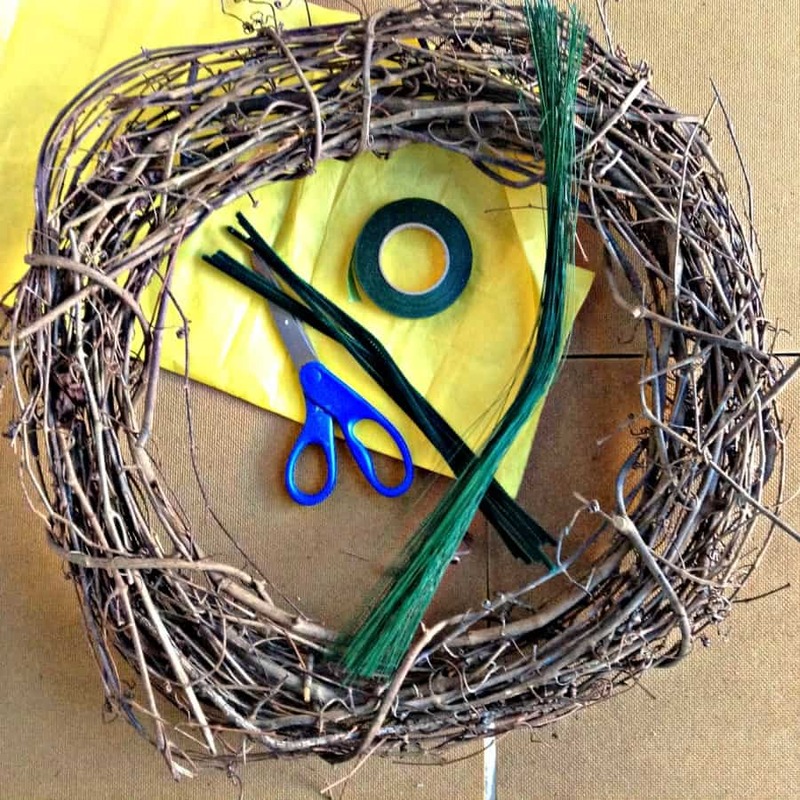 The first step in making your easy spring wreath is to wrap your pipe cleaners with floral tape. If you have never worked with floral tape before, be aware that it is very sticky! The adhesive on floral tape is built into it rather than being on one side like most traditional tape so it gets sticky when it is stretched. Heat from your hands combined with the stretching of the tape gives it the ability to stick. You can almost mold it. Experiment wrapping some pipe cleaners to get the feel for working with the florists tape. Once you’re comfortable with the floral tape, twist additional pipe cleaners together, as needed, until you get your desired length. The vine in the final wreath photo is almost 5′ long. Floral tape does not need to be applied in one continuous length. It will break as you stretch, just smooth it down and start another piece. The pieces will mold together seamlessly. To make your paper flowers, cut strips of tissue paper that are around 7″ long. You can use any width that you would like, but the length should be close to 7″. If you’re looking to make smaller flowers, use a smaller width. If you would like larger flowers, use a larger width. I’ve added the photo above to show you how different widths turn out. 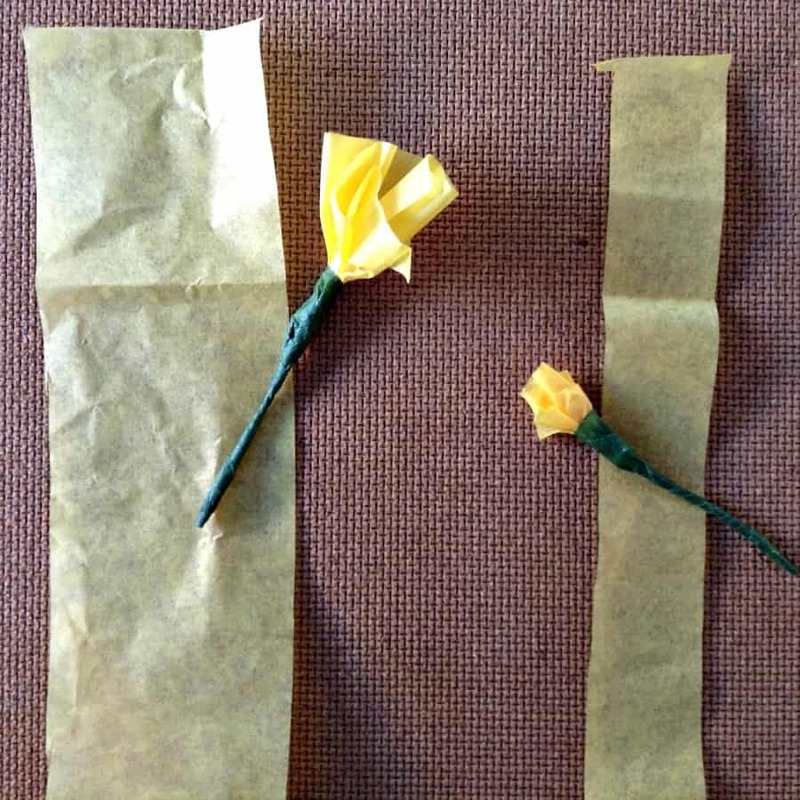 Wrap the floral wire around the base of your tissue paper flowers and use floral tape to secure it. Don’t try to make your flowers perfect. Flowers are not perfect in nature which means yours don’t need to be either. You can always fluff them up later if you feel it is needed. Once you have your tissue paper flowers created, begin attaching them to the floral tape vine you created. You will attach them with floral wire then wrap in floral tape. 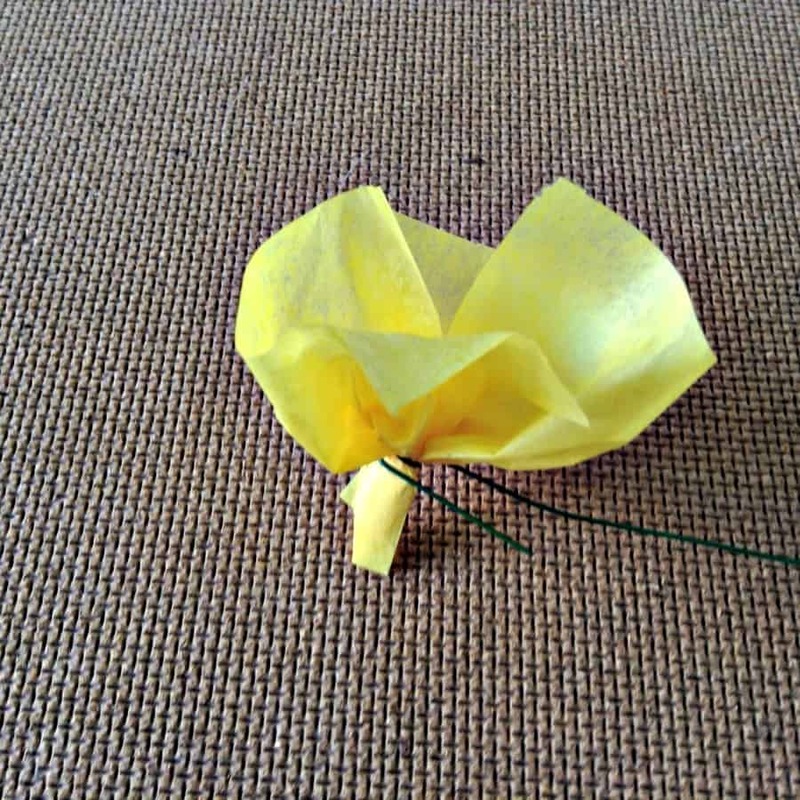 Continue to do this until your vine is full of tissue paper flowers. 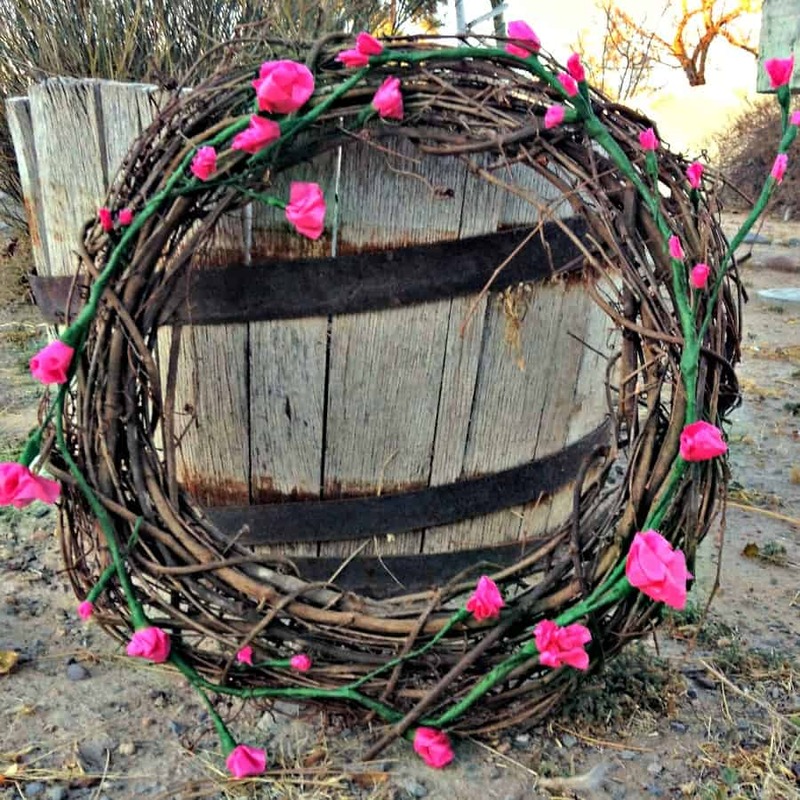 Once your vine is full of flower buds, it’s time to start building your easy spring wreath. Weave the vine around the wreath base in any way that you like. 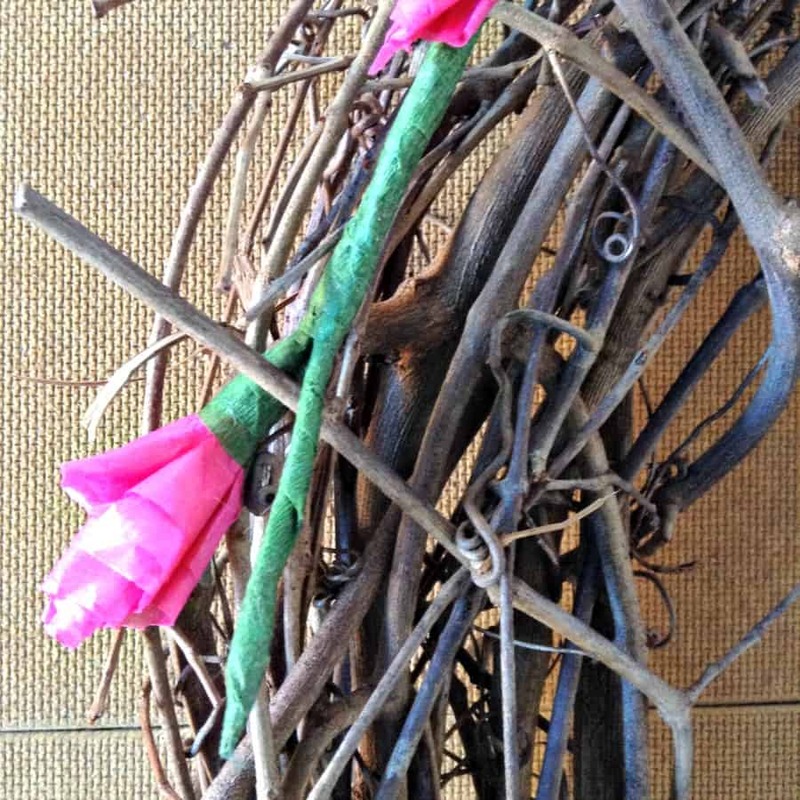 I did not use any wire to attach the vine to the wreath – I like the flexibility to change things out on a whim. You can use the natural stickiness of the tape combined with the rough twiggy nature of the wreath to keep things secure. You can use wire if you want a more permanent attachment. Once your simple spring wreath is complete, display it any place you would like! 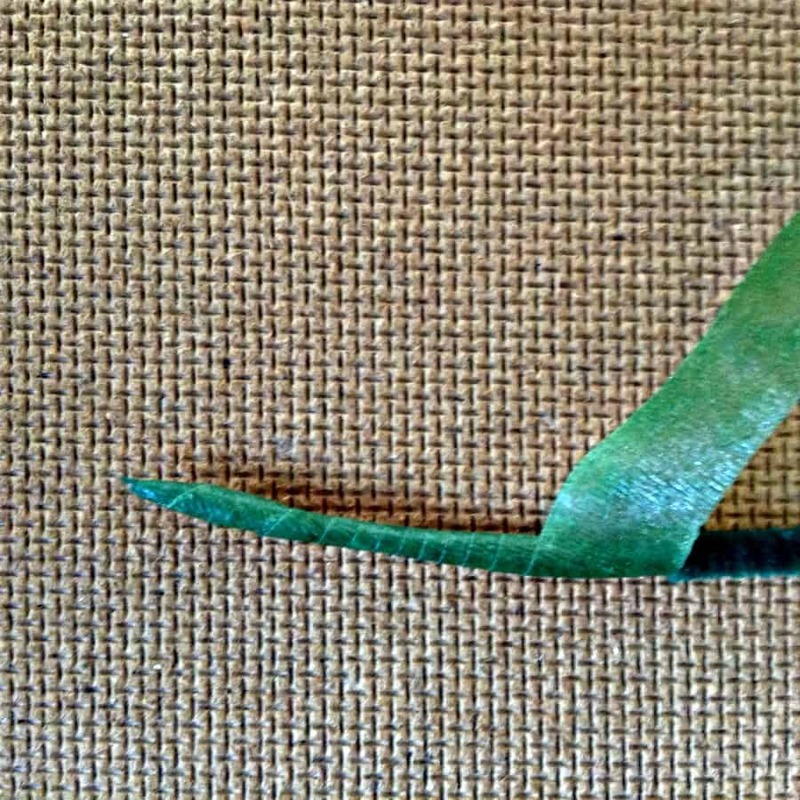 We love to hang one on the front door and they even look great sitting to the side of your door as an accent piece! I can’t say I liked the wreath – I don’t know where I would get grape vine now.